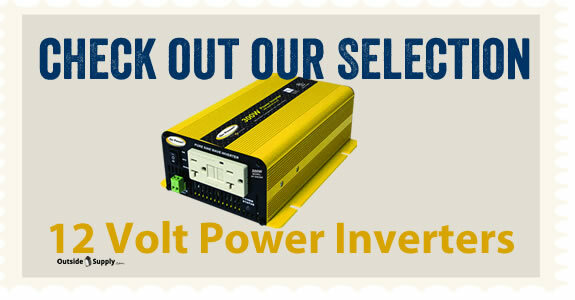 / Free Shipping on All Power Inverters? I some times get customers who ask "Why don't you offer free shipping on every power inverter like some other sites?" Well that is a pretty easy answer. To offer free shipping in the entire US for every product would mean that we would have to charge you way too much for the products we sell. Shipping rates vary too much by zip code and weight to offer free shipping on every product regardless of location. So I guess you are wondering how other sites online are able to offer this gimmick. Well have you ever heard that old adage, you never get anything for free? * Sell Re manufactured Goods. In my opinion, stay away from vendors who are offering blind free shipping across the board. Look for a vendor who is fair honest and will sell top notch equipment for a fair price. Outside Supply will be fair and straight forward carrying reliable information and power inverters you can rely on. We have strong buying power and bring great savings to our customers everyday. Know that you are getting great equipment at the right price. This is why we are very particular about the inverters we carry.